Since the beginning of the time, the time of the casinos, at least, there were numerous attempts to beat the system. Pure luck was never enough for some people. One of the recent examples is the Pivot roulette system. Basically, it is a very simple thing, although based on chaotic patterns. The theory presumes some outcomes calculated on the previous ones. For example, if you are a beginner, you have to bet on red for 8 or more spins, and they guarantee that you will finish the game with some winning. If you are more experienced roulette player, to follow the theory, you have to fill up some charts with the outcomes at the particular table, before you can start playing. Then, after the data is collected, you can develop your game according to that info. The theory is partially based on some scientific facts, that are true, but we have to be practical about this. As first, they are offering the system for free. 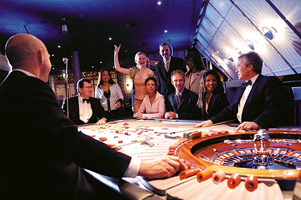 Moreover, they do guarantee the outcome, but only if you play in listed casinos. Suspicious? Free moneymaking plan has to make you suspicious. They are asking you to sign up in those casinos only? There has to be some interest involve. Why else would they list the casinos they prefer? Why else would they tell you they cannot guarantee the outcome in some other casinos? The theory is a theory, isn't it? There were all kinds of scams regarding free systems for beating the casino roulette, and bellow all this was a simple thing like percentages of your loss there. You can find all kinds of theories out there, but you have to be aware of a simple fact - the theory of patterns is based on previous outcomes. You can try to predict things, but no one can guarantee you they will actually happen. The theory of patterns can have some meaning, but in a long run. There is a simple example for the theory of previous results - if you throw your dice ten times, and every single time get six, what is a possibility of getting six once more? Exactly the same as for the first time, 1:6. Everything else is just wishful thinking, I'm afraid.